Ballet point shoes is a VERY important time for young dancers who are about to start or at the earlier stages. The skill to be able to dance so lightly and gracefully on your pointes is a definitely one that takes a lot of practice. 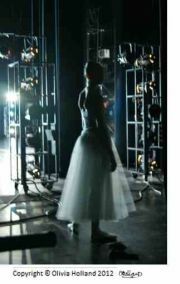 It is a crucial moment when you are about to start pointe because you set up your technique for life. If you develop bad habits or wrong techniques, you will be much more vulnerable to injuries and pain in the future. Don't worry, every dancer naturally has weaknesses when they dance in ballet point shoes. Whether it is rolling ankles, not enough flexibility or no strength to rise with control. What you have to do is notice your weakness and do everything you can to fix it. 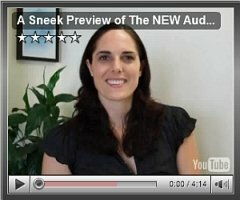 If you are not quite sure whether you have a good or bad technique for ballet point shoes, then let me help out. The structure of each dancer's feet is very different, so it is very important to focus on yourself in pointe. It takes a lot of discipline to dance with the correct and proper technique. There is a superb program below that Lisa Howell has set up especially for young dancers on pointe. If you haven't started pointe yet then this is the IDEAL time for you to get ahead of yourself and start learning all the correct techniques. Lisa includes all the crucial exercises for pointe that are not just for your feet, but your whole body. 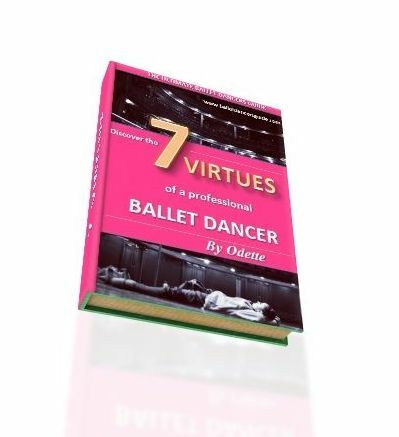 She gives important tips you need to know and gives you all the information for you to become a pointe genius. Don't leave it to your teacher! You can watch this pre-pointe video yourself here (just wait for the page to load up then the video is on the top right of the page). There are many aspects of pointe you have to be ready for because it takes a lot of strength in the body. Firstly, your ankles and feet must have enough flexibility and power to support yourself on pointe. If your demi-pointe is strong and stable, then this is an encouraging sign that your ankles are ready for pointe too. It is very easy to roll your ankles in a ballet point shoes, whether it is inwards or outwards. 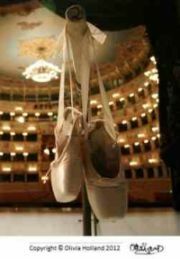 The stability in a pointe shoe is much more wobbly then in your soft ballet flats, so it can feel quite easy to be unstable in your ballet point shoes. This is why your ankles must be strong when you are on flat, because it is almost twice as hard when you begin pointe. You must activate your inside thigh muscles to stabilize the ankles and always concentrate on keeping balanced in the middle of your foot. Even once you have mastered the skill to dance on pointe and you feel more confident, you can always keep strengthening further to improve in class. Although pointe work is emphasized on your feet, it isn't just this alone that helps you improve on pointe. Your feet give the action and energy of pointe, but your whole leg has to be strong enough to rise up onto pointe. There is a lot to learn for pointe and you must try to remember as much as possible. You have to be prepared and always practice pointe the RIGHT way. Improving takes time, so be patient and keep working hard.